Birthday parties will never be complete without a cake. This delicious treat is part of many celebrations that it is less fun without it. Cakes serve as centerpieces of celebrations. Aside from birthdays; weddings, anniversaries, and other milestones in life are celebrated by having cakes. Jollibee knows the importance of birthday cakes, that's why this restaurant teamed up with Red Ribbon Bakeshop to create cakes that are perfect for Jollibee party. Jollibee party currently has four party themes; namely (1) My Best Friend Jollibee party theme, (2) Jollitown party theme, (3) Hello Kitty party theme, and (4) Batman party theme. 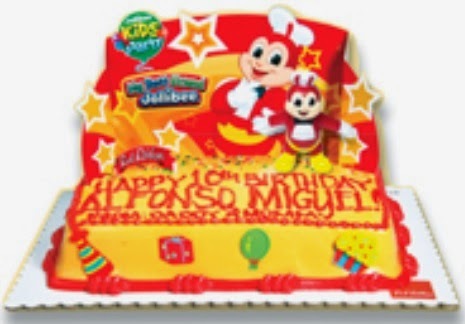 Each Jollibee party theme has their own design of birthday cakes. 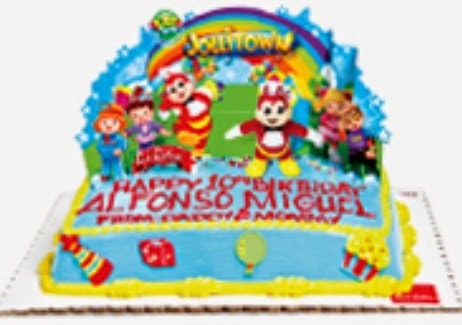 Jollibee party cakes comes in medium (8 inches by 12 inches) and large (12 inches by 12 inches) sizes. Flavors available for the Jollibee party cakes are chocolate and mocha. This cake is all about Jollibee and it fits perfectly to this Jollibee party theme. I think that this cake is good for those who are super-fan of Jollibee. Jollitown Jollibee party theme means a party with Jollibee and gang. That's why everyone from Jollitown is on this cake. The cake is pink, which is perfect for little girls. 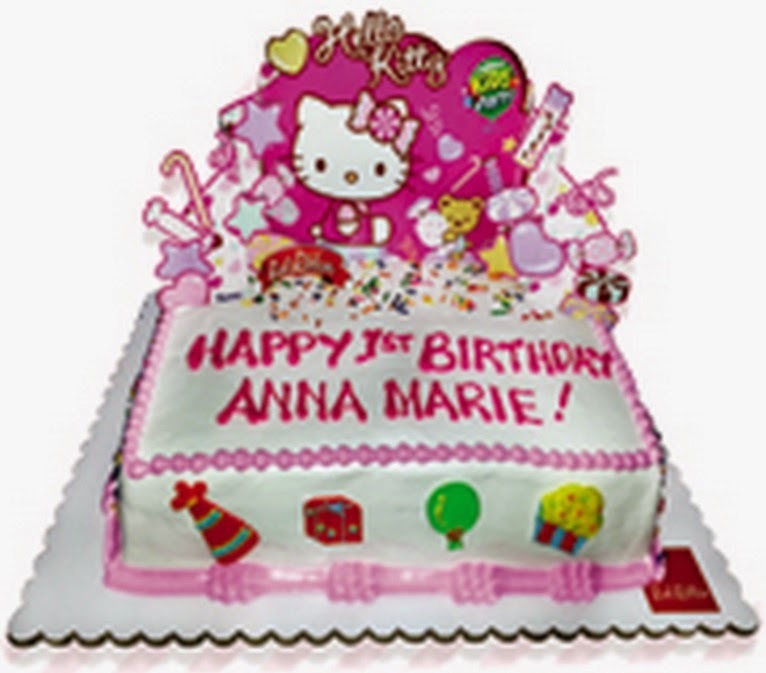 Hello Kitty, of course, is the centerpiece of this birthday cake. 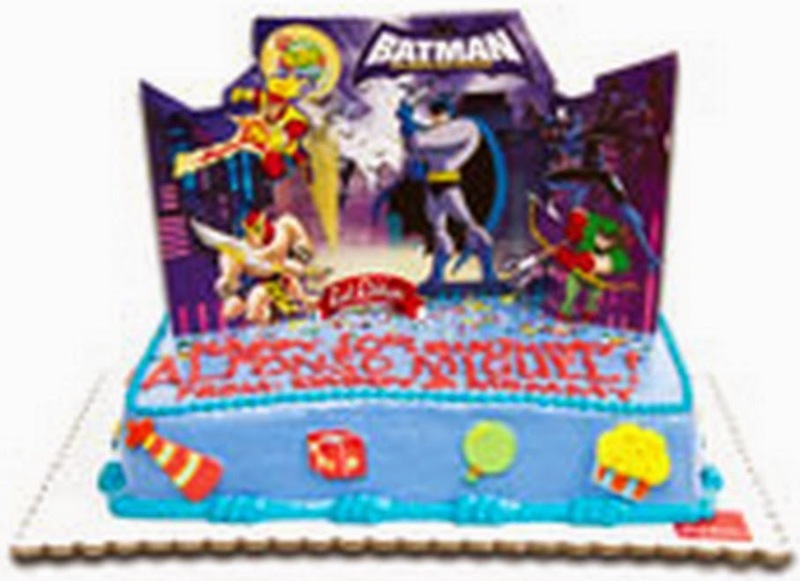 Batman and friends are the centerpiece of the cake for the Batman Jollibee party theme. This perfect for little kids who love watching Batman and other DC heroes. These cakes were made by Red Ribbon Bakeshop so it is guaranteed to taste yummy. Your child will definitely like it. Do you have questions about Jollibee party? Do not hesitate to ask those questions. Give us your questions and other reactions by posting your comments on this blog post.